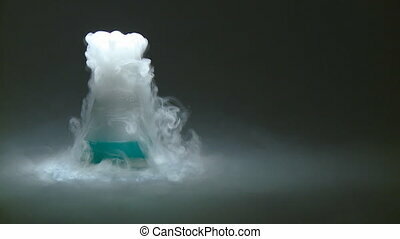 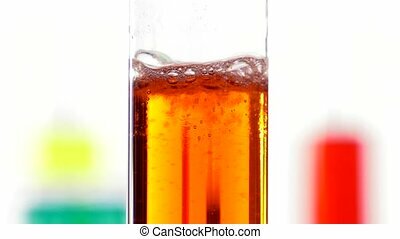 Chemical test tube. 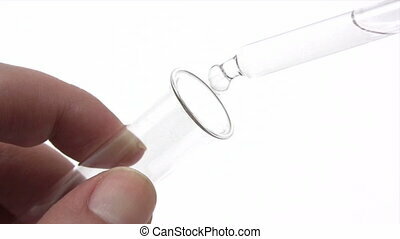 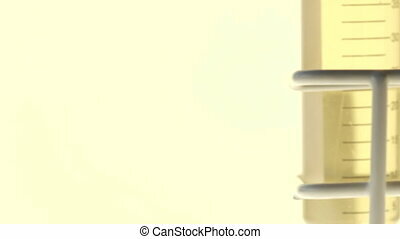 Pan of test tubes in a holder. 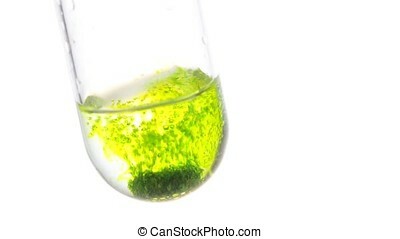 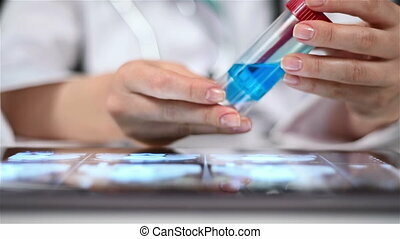 Adding tablet to chemical in test tube to produce a reaction of green foamy bubbles. 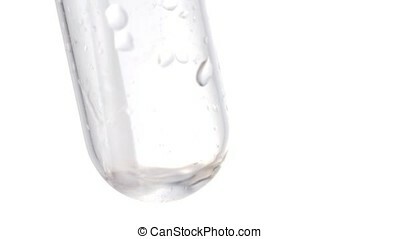 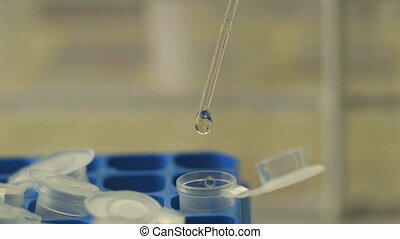 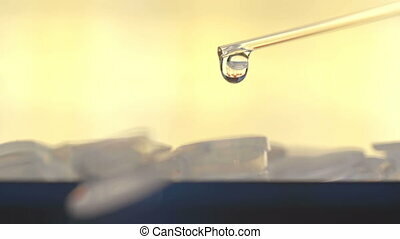 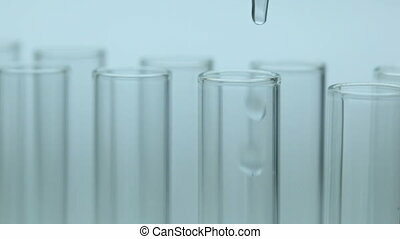 Drops of clear fluid dripping into test tube. 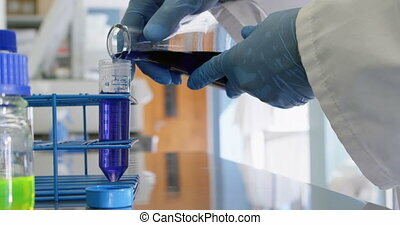 Adding purple liquid to test tube with plastic pipette. 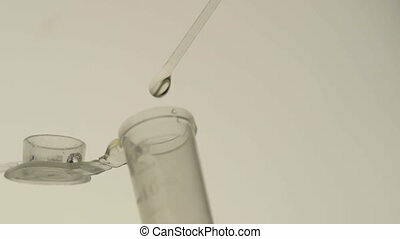 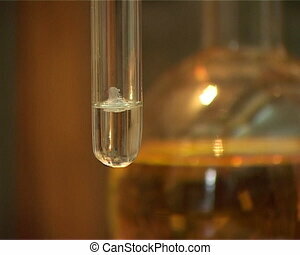 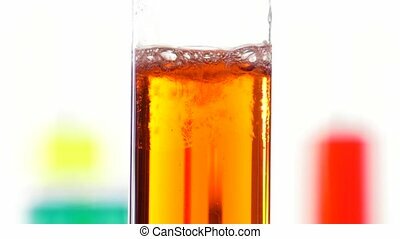 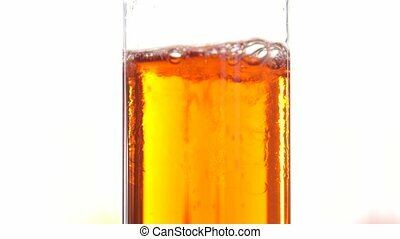 Liquid being poured into a test tube up to a fill line. 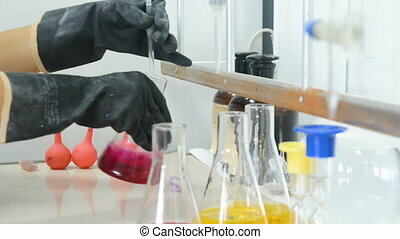 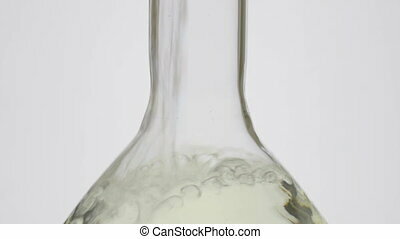 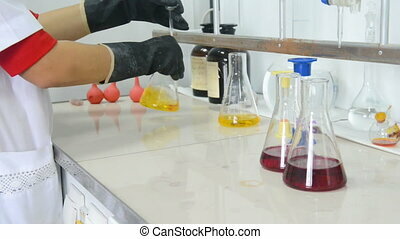 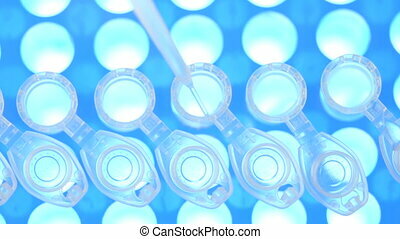 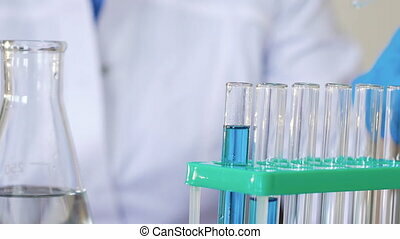 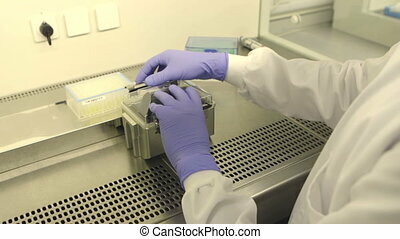 Scientist is putting fluids into container test tubes in a laboratory. 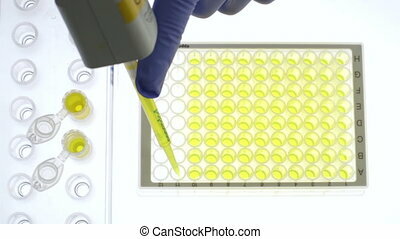 Scientist is dividing urine samples in to test tubes using a pipette. 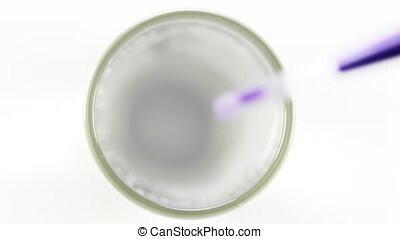 Urine samples are being stored in a science laboratory.